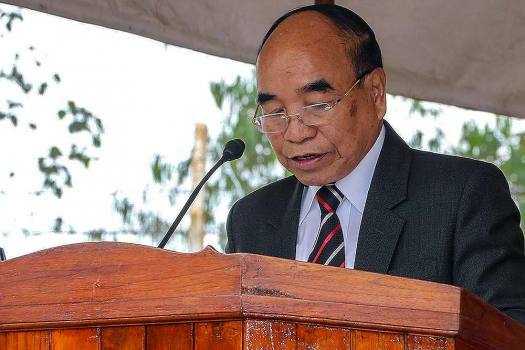 Mizo National Front (MNF) President Zoramthanga takes oath as Mizoram's new Chief Minister at a ceremony at Raj Bhavan in Aizawl. 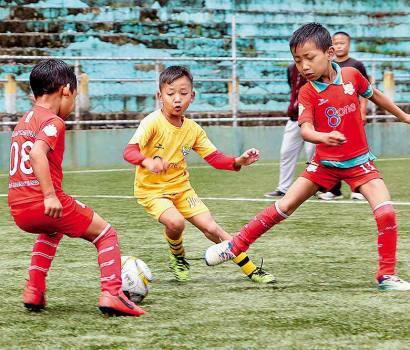 Youngsters jostle for the ball during a friendly match. 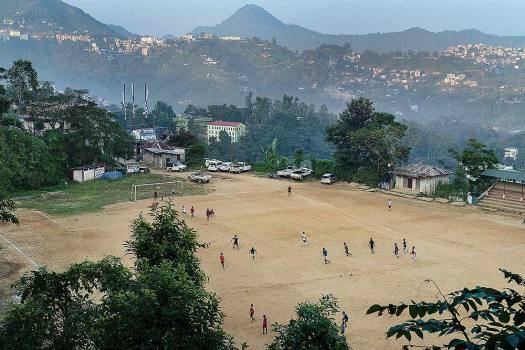 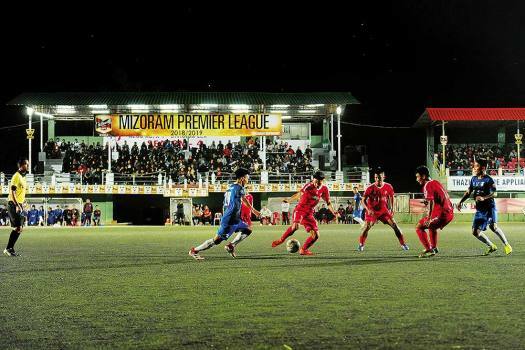 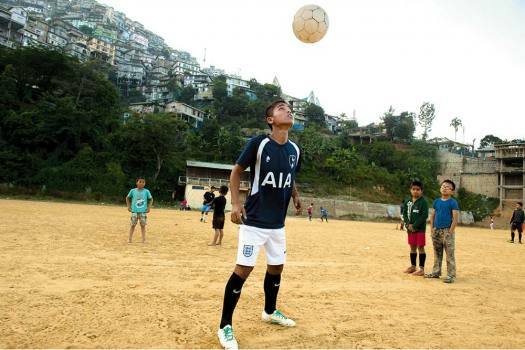 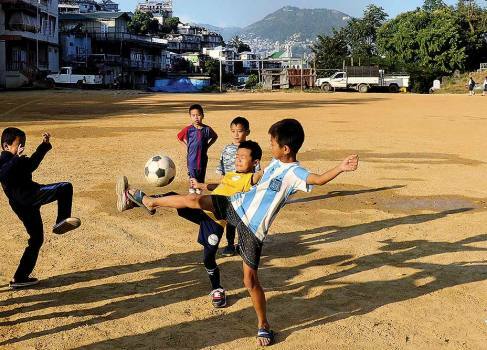 Mizoram is the first state to host a ‘baby league’ soccer tourney under a ‘Young Legends’ programme of the Mizoram Football Association. 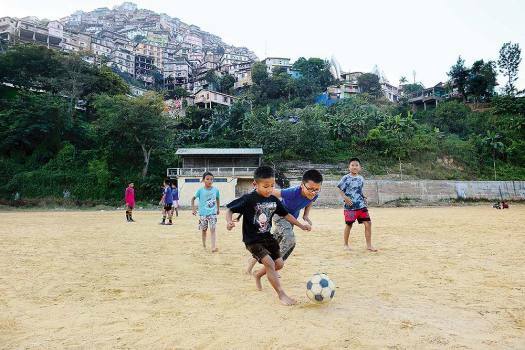 Enthusiastic boys at a playground in Aizawl. 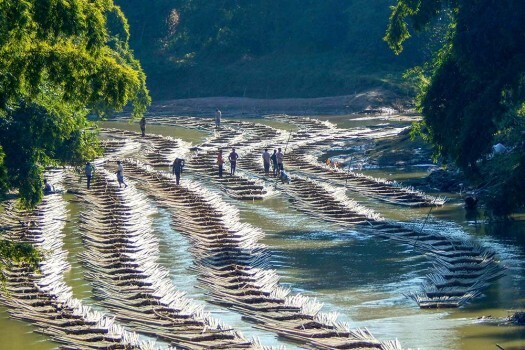 Workers transport bamboo logs in Longai river near Tripura-Mizoram border, in Kanhmun. 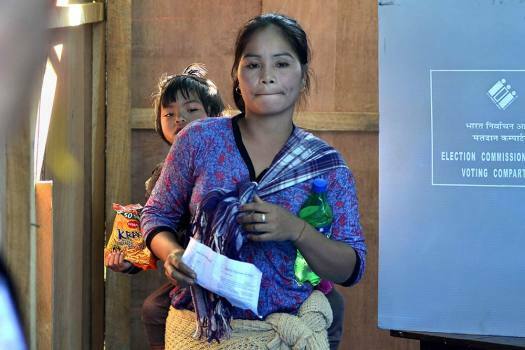 A Riang tribal woman arrives at a polling station to cast her vote for the state Assembly elections, at Kanhmun, Mizoram. 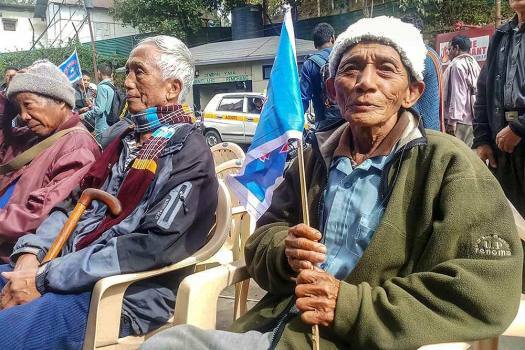 Voters show their identity card as they stand in a queue at a polling station during the state Assembly elections, at Kanhmun, Mizoram. 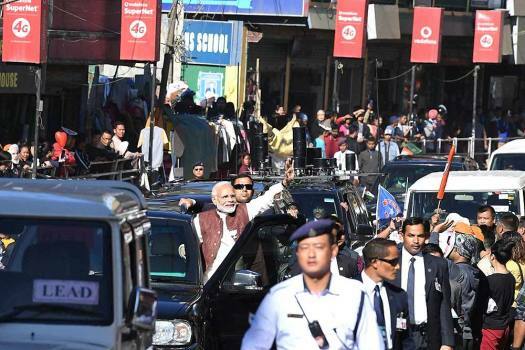 Prime Minister Narendra Modi waves during an election roadshow in Aizawl, Mizoram. 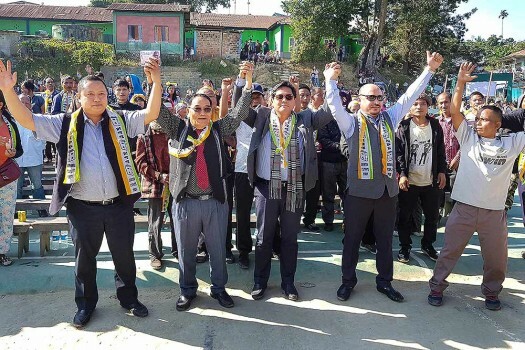 Congress President Rahul Gandhi holds a child during an election rally in Champai, Mizoram. 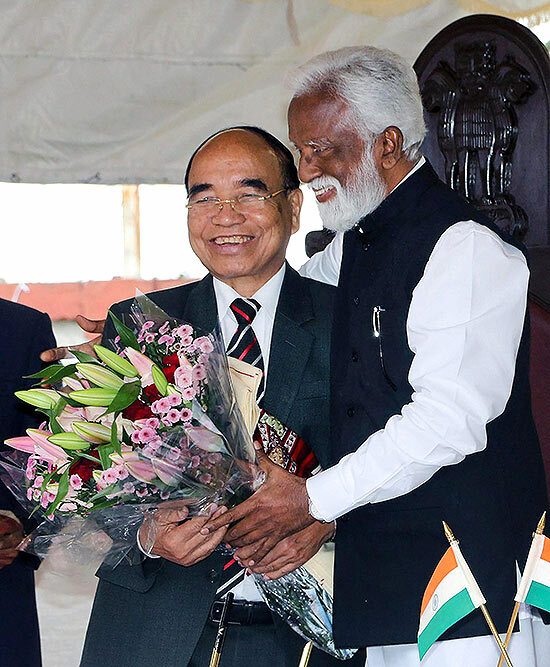 Former Mizoram Chief Minister Zoramthanga speaks to Outlook about MNF’s prospects in the upcoming assembly elections. 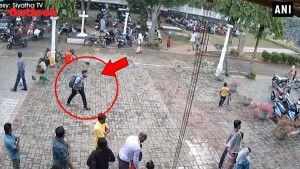 Every church sings its own soft part. 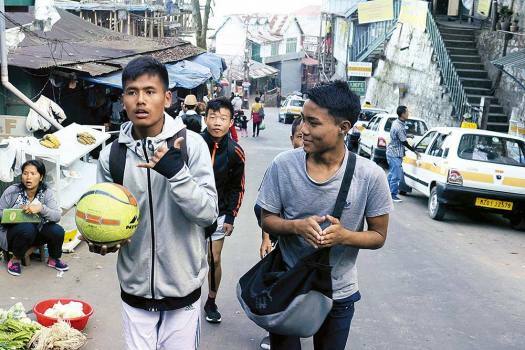 In Mizoram, the faithful looks up to it for guidance and for free and fair polls. 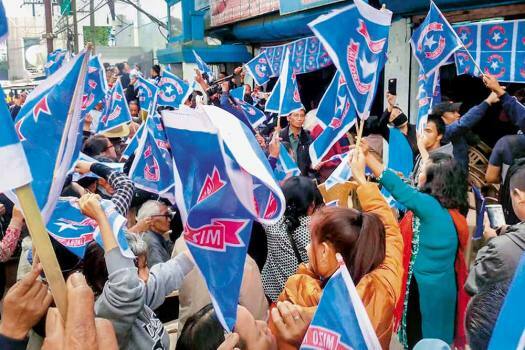 Zoramthanga said that the party and his government had been making all-out efforts to ensure the defeat of the bill. 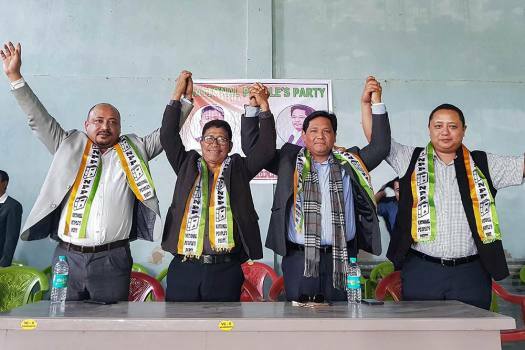 The Mizo National Front president took the oath in Mizo language. 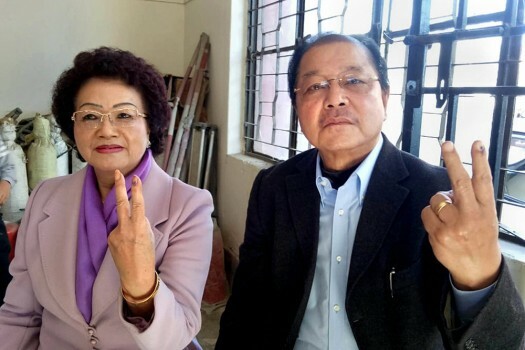 The main aim of the BJP leaders in Delhi was to kick out the Congress, state BJP chief John V Hluna, adding the saffron party should be a part of the new government in the state as the MNF is a constituent of the NEDA.